I have a question. For uses other than removing toilet bowl rings, do you wet the magic eraser or always use it dry? Always, wet. Sometimes with dawn or window cleaner when removing dog smudges. It’s the best thing I’ve ever seen for removing dog smudges front windows, tile, wood. Walls, etc. Simply amazing! Keep it wet,it need to be wet when cleaning, if dry, it is easy broken. I am a house cleaner and I use a pumice stone to rub out tough toilet bowl rings. You can buy one with a nice handle in the cleaning section of Krogers grocery. I clean my windows with magic eraser. Wipe off excess dirt with paper towel and water, then clean with magic eraser for an incredible look. Remove any water with newspapers or paper towels. Wonderful idea…never thought about that. Can you tell me …toilet bowl cleaning? Do you put in the bowl it’s self or in the tank? And ? How long does it take to disolve ? Not sure of this cleaning tip? You would put it in the bowl. I have not tried this so do not know if it works or how long it takes to dissolve. It doesn’t dissolve. Scrub the bowl and when you’re done through it away. Bowl will sparkle! Sorry, I waited 24 hours. Didn’t budge the stain one bit. In the bowl. It does not dissolve—use it to rub away stains on inside of bowl. Magic erasers are the biggest rip off you can buy…yes, they work, but you can buy whole sheets of the stuff they are cut from for a song. Also, some of those rip-off Chinese online sites actually sell bags of 10, 25, 50, &100 fot $1, $2, $3, etc plus $1 shipping. I bought them & they’re the same thing! Me too… I get 100 at a time from Amazon for $20. Works the same way! Go on eBay and search magic eraser. For instance what site would u recommend? Worked great on my shower stall glass and with a lot less scrubbing than other products I have tried. Next project is to use it on my patio glass water spots. 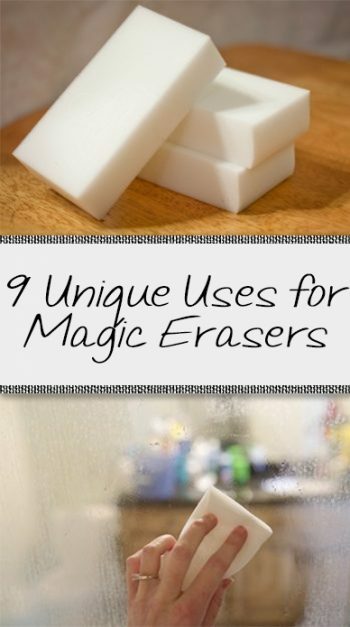 Magic erasers have bleach and fiberglass which is extremely dangerous to use on skin and certain materials…microfiber would not hold up well just use white cloths, rubbing alcohol, and an old toothbrush. Not true, they are made of melamine. Will ME work on cloth according blinds or will it tear them? It will work, just fine, without harming them. It REALLY works good on the white kitchen cabinets. .and vanitys. It dont work good on ruff texture stuff..it tares the sponge up fast. Will magic erasers remove rust stains in toilets? I’ve used Lime Away cleaner for rust in the past. Cut them with scissors! Most of the time I need very small pieces to scrub using my fingers. One container of ME lasts forever! My primary use for them is cleaning the burners and burner grates on my gas stove top. ****Just cut off a piece of your Magic Eraser and leave it in the toilet until it dissolves. It will do all the work for you.- Put in the smaller piece at night before you go to bed. I’m thinking it will dissolve by morning. Or cut up said piece into smaller bits just to make sure. Magic erasers work great to clean the grout in between floor grout. Takes time but works great. Sorry, in between floor tile. Awesome!! I’m definitely going to have to try some of these. I love Magic Erasers! here is one for the record book, I bought a flat screen tv from a trift store for $10.00 and it had scraches all over the screen, i used my damp dry erase and it took out ALMOST everyone of the scraches,I could never have to many dry erasiers !! I found a ME at Kroger with a metal stick. It makes it so much easier. I used it to clean a metal painted front door. I was going to paint it at first but after cleaning it there was no need to paint. Does anybody know if you can use a Magic Eraser to clean cement in a basement? What is a ME ?? How about using it on painted walls that are dirty? How did it work or did it remove paint from the walls? I have heard that they might remove some of the paint from your wall..I would maybe test in on a spot that won’t show and see what happens! I have used them on flat paint and it removed the paint from the wall. On any other paint finish (satin, semi-gloss, etc) it works really well! Works great on semigloss and satin, but takes the paint off flat. Be careful, not to rub to hard. Most jobs only need half an eraser. I usually cut mine in half. I use wet ME to take the dryer bugs off my car before I take it to the car wash. Works great! I liked dryer bugs : ) ! I use ME on my grandson’s white band shoes, cleaning a football helmet, and seats in the van. We have an inground swimming pool and I use ME to get rid of the nasty water stains on steps and side walls after being closed all winter. It also is great to clean skimmer area and skimmer basket. Lotions and sunscreens can also do a number on your pool and ME sponges are excellant for removing rings. It’s fantastic for those pool rust stains! I agree. My favorite use for Magic Erasers are the textured fridge handles that are very hard to clean. I also use them on the console, door pads and dashboard in our car. Here you have to be more careful. You can rub too hard and the color can come off, but with gentle care, nothing beats them. Test in an inconspicuous spot and only use it on the heavily soiled areas. Another tip for cleaning with the magic eraser is around your pool water line, where its turned colors from sun and chemicals. It brought mine back to original color and very clean. Amazing and probably the BEST cleaner ever. Dont know whats in them but its awesome. 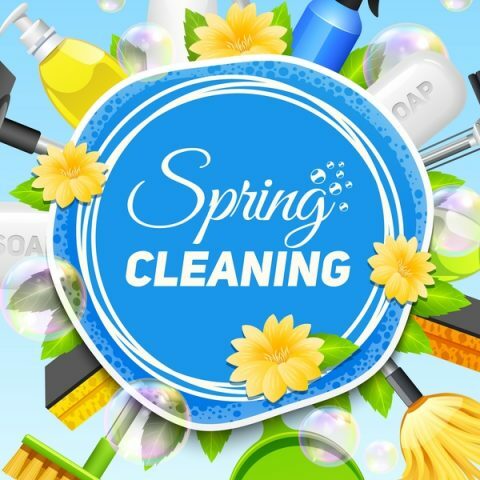 I use a Magic Eraser when I wash my car it’s great for removing dead bugs and tar from my car, just dip it into a bucket of soap and water and scrub away! I went crazy when they came out with these but learned over time they are not a miracle cleaner. I’ve seen suggestions to clean my headlights – it doesn’t work. As far as toilet bowl rings, I don’t get it – I either use Ajax or a spray bathroom cleaner & brush with rubber gloves – that way the whole bowl is clean ( as it should be). I now rent, had a problem with a toilet so lifted the cover off the tank – it looked like pond scum. Why, I don’t know since I had a house for 30 yrs. & never saw that. I cut a piece of the ME, tied some floss around it and tossed it in the tank. The next morning, the water was clear. Paint – I’ve never tried it on walls but on the front door which is white. It took the paint off. I think the landlady used regular paint when she should have used Rustoleum – most outer doors are steel/metal for fire purposes & strength. I had tried using Mr. Clean before the ME and the paint was coming off then. I find in some cases, it does its job but then I have to wipe it down again with an old cloth. Frankly, Windex is my go-to in most cases. Be careful, magic eraser is sandpaper and will remove the protective coat off your countertops and everything else. Watch how it dullls your items!!! The best tip I’ve ever received was to cut the eraser in half. Each time you rub and squeeze it breaks down a bit. Generally you don’t need to use the whole thing at once.